The Floating Production Systems database is a major advancement in business intelligence in the floating production sector. Updated daily – 24/7/365 – courtesy of World Energy Reports’ global network of correspondents and analysts – the database is a powerful tool that enables you to research, discover and produce the information you need, when you need it, in the form you want to see it. Included is in-depth information about 230+ floating production projects in the planning stage, 360+ production and storage installations now in operation worldwide, 60+ floating production systems being built and 20+ production systems off field and available for redeployment. Unlike other static competitive databases in this sector, the World Energy Reports Floating Production Systems database is dynamic – it is updated daily with new information and insights to ensure you are kept abreast of new developments as they happen..
To filter list of Units by keyword enter the keyword and press "Search". Click on Clear all filters link to remove all filters. Order Your Floating Production Systems Report Today! Your Report, Your Way! 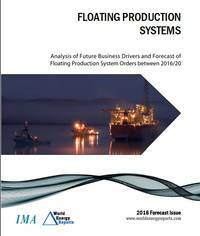 The new Floating Production Systems Report – much like the market itself – is continuously changing. This Floating Production Systems report from World Energy Reports is unique in that it is not simply a static report, rather a dynamic and ever-changing database with a continuously updated wealth of data, statistics, exclusive insights and analysis and critical project management contacts designed to keep you a step ahead of the competition. Your Report, Your Way!